One of our core ideals at Stevie English Hair - Is to have as much fun as possible and to be happy. It definitely is my goal, I love my job and I get to work with so many creative people. This year I’ve been across the Globe for Matrix educating and playing at colouring hair. And here in Australia I have spent my time educating, hanging in my salons with my cool staff and working on The Voice as Hair Ambassador for Matrix and we are only half-way through the year! We believe that being happy is a great thing, and part of that feeling, is feeling good about yourself - and obviously we think a great hair can help. I was reading an article the other day that was about the two things that go along with happiness; expectation and surprise. We like to think there’s some fun expectation of your booked appointment for Stevie English hair and the surprise - Well we don’t ever want to surprise any client. But we do like to help and assist with the look you want to achieve - I know our team (teamEnglish) have so much skill and creative genius that can help to add and suggest ways to make your look even more you! So we hope that you have a style thats even better than you imagined - and thats always a happy surprise! You’ll be able to snap your new snip from stevie english hair on snapchat whilst in the salon - and add our exclusive filter to your image - its just for the day - its a first for a Hairsalon and we hope you’ll have fun adding your happiness surprise and perhaps a little expectation to it as well! Happy hair right there! Happy hairdressers too! So tomorrow in our salons play on snapchat and use our exclusive filter. These little babies mix up our colour give us perfect consistency. Over the weekend we had the greatest pleasure in watching our lovely Louise up on stage for Hair Expo 2016 in Melbourne. She was one of four finalists for Apprentice of the Year across both Australia and New Zealand. On stage she showed off her amazing hairdressing skills and spoke of her creative concepts. We are so proud of her and excited to see the incredible work she has in store for the future. Stevie was there with Matrix, Evy Professional and Excellent Edges to show of some of the best industry tools, which we are fortunate enough to use in our salons. Lousie on main stage with the crowd loving her hair and her fashion sense. Australia has a new Prime Minister. A female Prime Minister. She's smart, successful, and.....she's a redhead. We are hairdressers, not political commentators, so let's focus on the hair, shall we? Ms Gillard has had a variety of hairstyles over the years, but one thing has remained constant- the colour. Red, copper, highlights, full colour, but always a fetching shade of red. 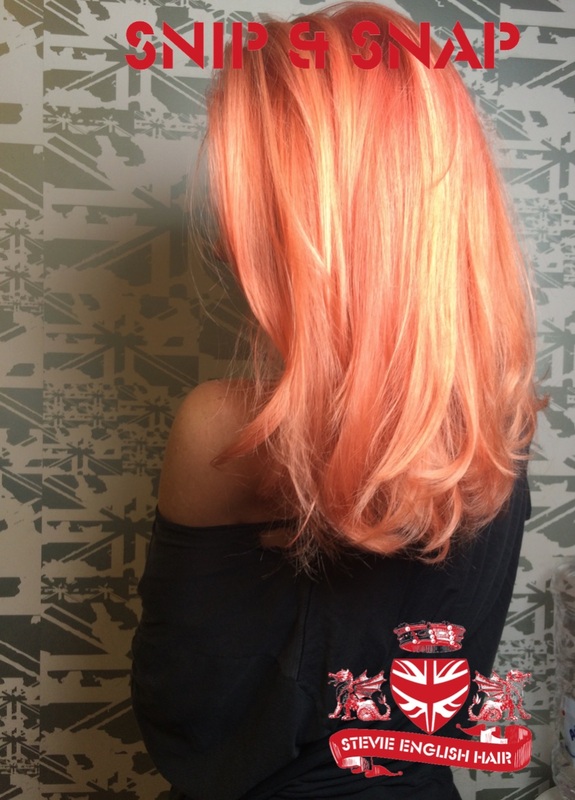 Here in the salon, we love redheads. Adding red shades or sections to brunette hair is a simple way to change your look, and is flattering to most skin tones. A full colour takes longer, but the result is vibrant, daring and a sure-fire way to stand out in a crowd of blondes and brunettes. O&M have an awesome range of NO ammonia bright coppers and reds, which are great on the hair and environment. Natural redheads, like Ms Gillard, usually have very fair complexions and the natural red and orange shades can be brightened, or depth can be added using highlights or lowlights. We always recommend a colour lock treatment-we use Nanomax in the salon to help maintain bright colours. Colour enriched shampoos and conditioners help to prolong the vibrancy of colour- we stock Davines here at the salon . Often redhead or strawberry blonde hair colours suit people with green eyes. We congratulate Julia Gillard on her new role as Australia's first ever female PM, and we welcome the reign of the ranga!